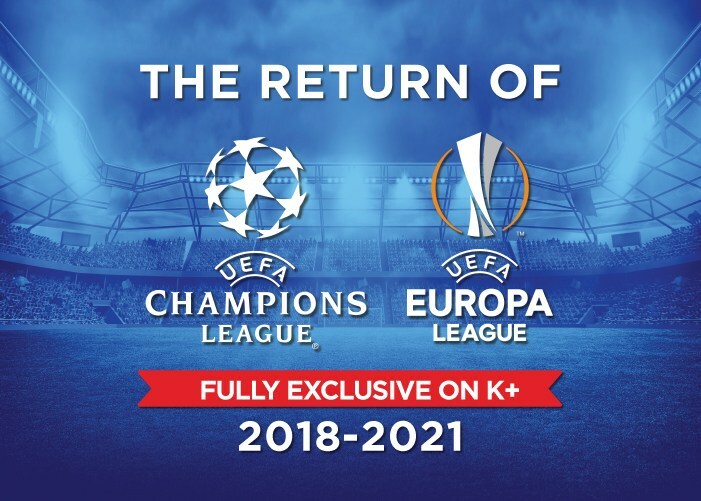 - Top football leagues: Premier League, La Liga together with the Champions League and Europa League returning to K+ for 3 seasons 2018-2021. - All tournaments of ATP1000, 500, 250. And thousands of premium entertaining contents! The Premium+ channel package offering 130 selected TV channels specified in diffferent thematic cotnents for the whole family members to enjoy in their own ways! And especially, the new HD set-top-box Technicolor automatically receives up to extra 40 local free-to-air channels for your extended choices. 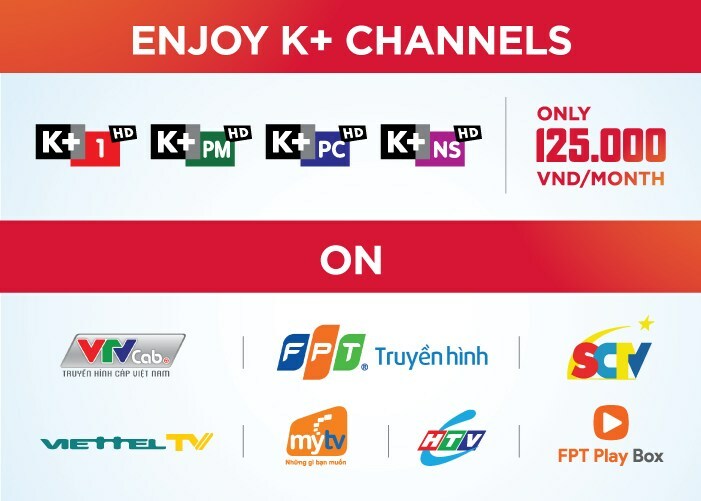 All of the exclusive contents on 4 K+ channels are now accessible on other payTV platforms including: VTVcab, FPT, SCTV, Viettel TV, myTV, HTVC and FPT Play Box at the same 125,000vnd/month. Customers just need to call their service provider to subscribe for this K+ package via these hotlines here. 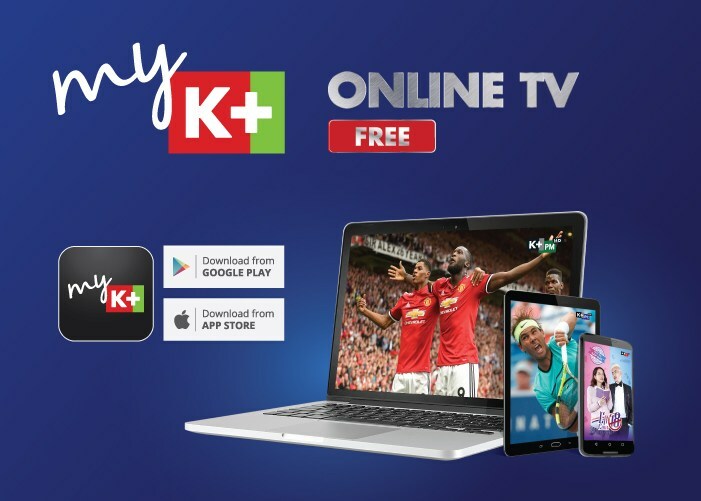 All Premium+ package subscribers (subscribed to satellite K+ package with set-top-box and satellite dish) can register for myK+ OTT service for FREE. Subscribers are able to enjoy a number of TV channels on their mobile devices including latops, tablets and smartphones. 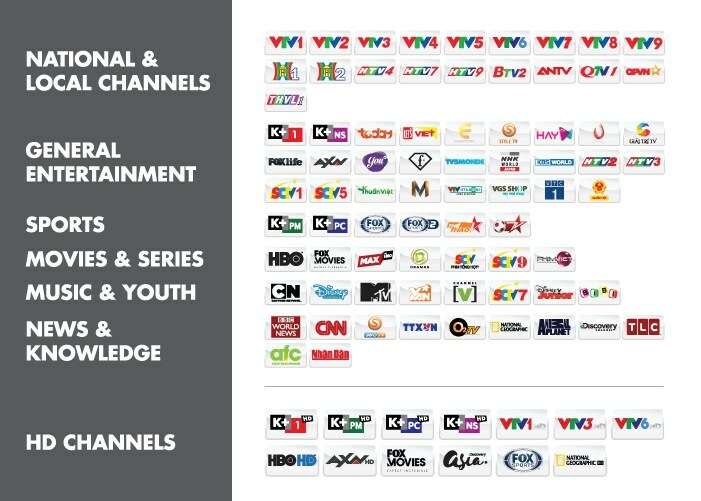 Without installing the dish, customers can also enjoy myK+ app by registering for the online TV package named myK+ NOW at 125,000vnd/month to watch all the channels on their mobile devices. 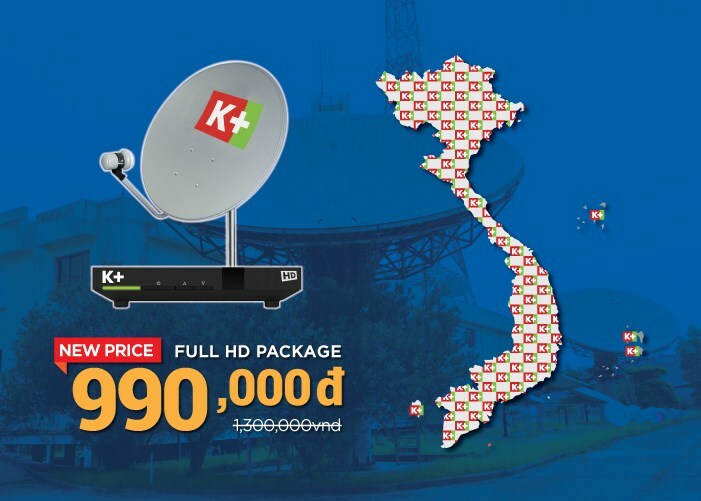 The satellite technology enables K+ to be there for you to enjoy wherever you live in Vietnam! Browse for your favorite programs up to 7 days in advance. Package of diversified thematic channels for the whole family! 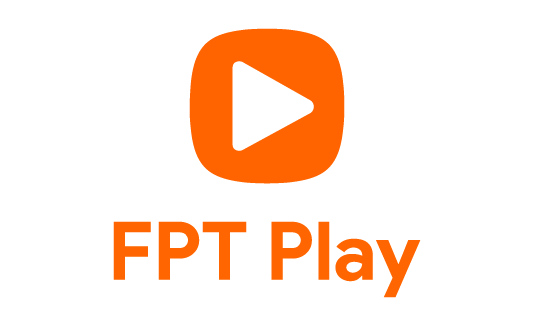 Enjoy our K+ channels on other pay-TV platforms.